Mom, the Intern: 3 is a great age to be. 3 is a great age to be. 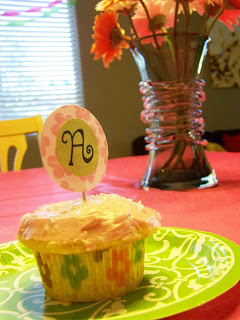 Homemade monogrammed cupcake toppers, cupcakes and frosting. Well, it's official. My Bubby is no longer 2. Three is the golden number. Funny how that changes overnight, huh? For as long as they can remember, these poor kids have to tell people they're 2, and suddenly they have to change to 3. Like Aibileen said in The Help, "When you little, you only get asked two questions, what's your name and how old you is, so you better get em right." 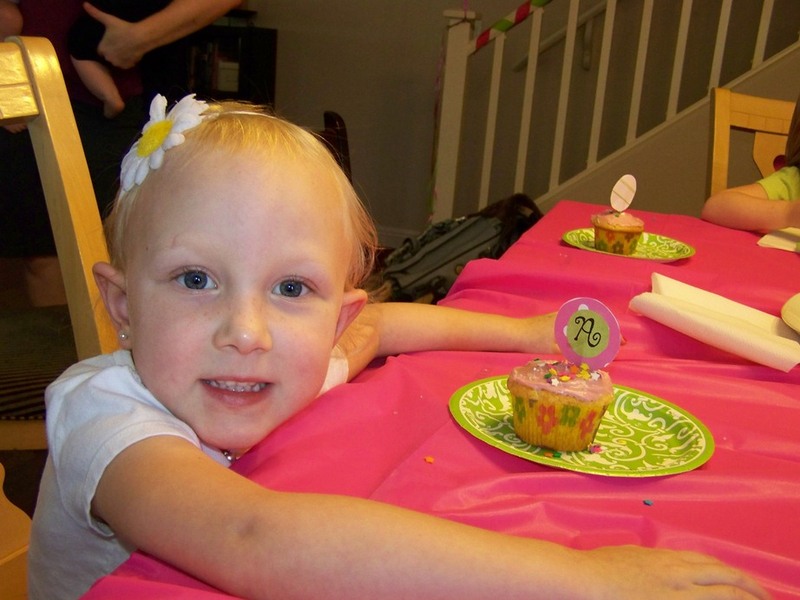 On October 8 we had a little cupcake party for the Bubs. Based on Bubby's reactions, I'd say it was a huge success. I'm not really big on commercial themes, so we had a Pretty Pink Cupcake party. That way it's flexible and varied, plus have you seen how much Elmo plates cost? Too much. 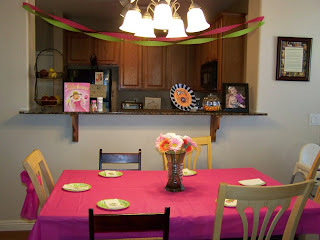 A pink table, lime green damask plates and streamers everywhere. 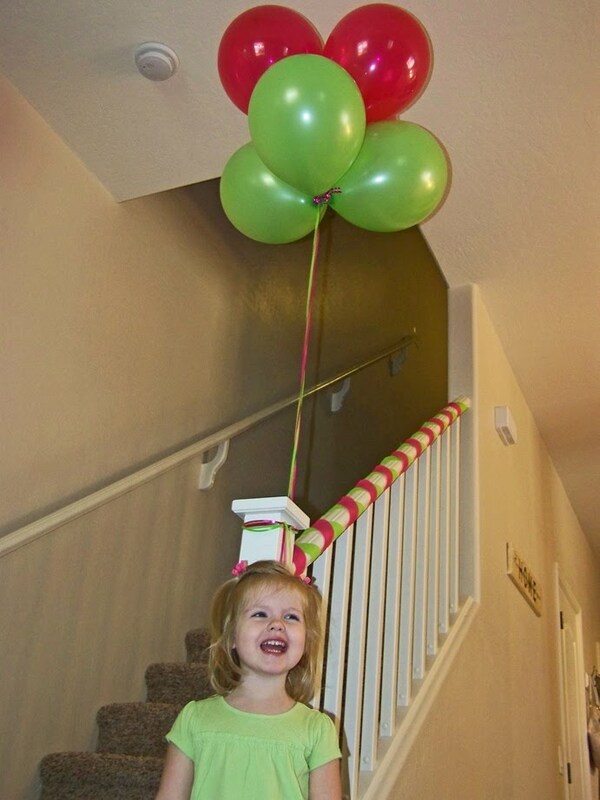 She was so excited, she could hardly stand herself. 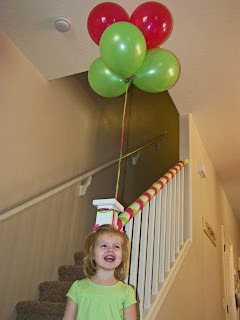 And she adores balloons, so we got some of those to send home as party favors. The guests arrived at 10:30. First, I painted everyone's fingernails hot pink. Boy, was that fun. I forget how teeny-weeny 3-year-olds' nails are. 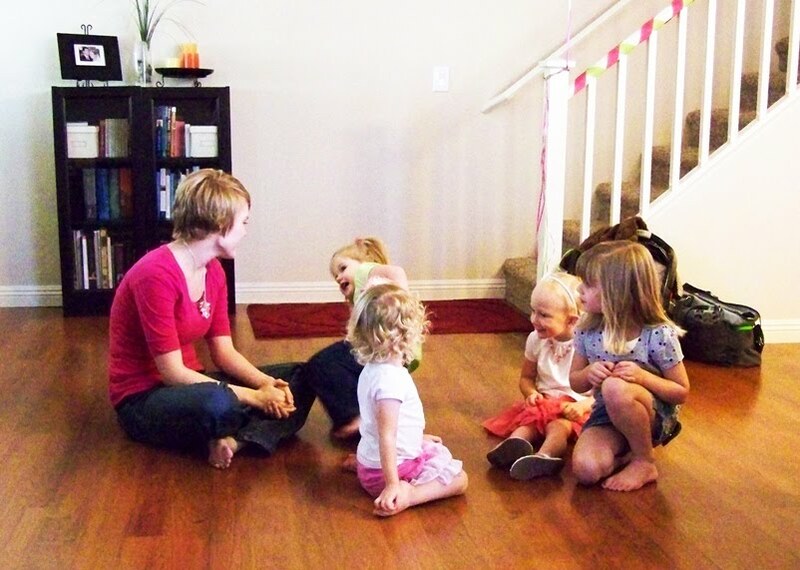 Then, in my most animated voice, I read the kids the book Pinkalicious. It's an absolutely darling book about what happens if you eat too many pink cupcakes. The girls were riveted. I won't spoil the rest of the book because it is so dang clever and I love the illustrations. Next time you're in Target or Borders, find it and read it. Hilarious. Next, we opened some gifts. The loot consisted of Play-Do, Strawberry Shortcake toys, baby doll accessories, Princess Yahtzee, Go Fish and cotton candy. After the gifts were opened, we played a rousing game of Duck, Duck, Goose while one party-goer took a potty break. Next, we decorated our own "pinkalicious" cupcakes. This one is Amber's. Bubby and Amber are best friends. 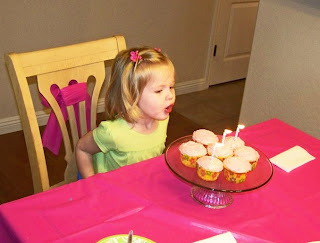 And then we sang and blew out the candles. Hooray! Finally, the kids played with Bubby's new gifts while the moms partook in some adult chit-chat. It was a fun day. Bubby was sufficiently worn out and took a great nap later. Well, I can take some credit for this momentous occasion, right? cuuuuuuuuuute! i love that theme. you are such a fun mommy. You are such a fun mom! Will you do my birthday party. And I have to agree with you on that book, The Help. So good and I loved learning about the big joke at the end!